One week referral pass - give the gift of energia FREE and be entered in a draw to win! Ask for a few one week free cards at the front desk. Give them out to a person who you think would like to try Energia (they can't have been to Energia for over two years). The cards expire on January 31st, and we will draw one of the cards on Feb 1st. 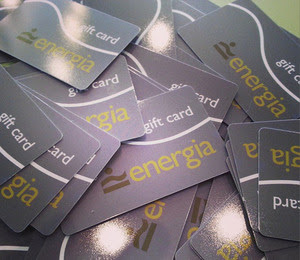 Our new Energia gift cards have arrived just in time for holiday shopping! Load them up with any denomination - they don't expire and can be used for anything in the store including our amazing Energia classes! 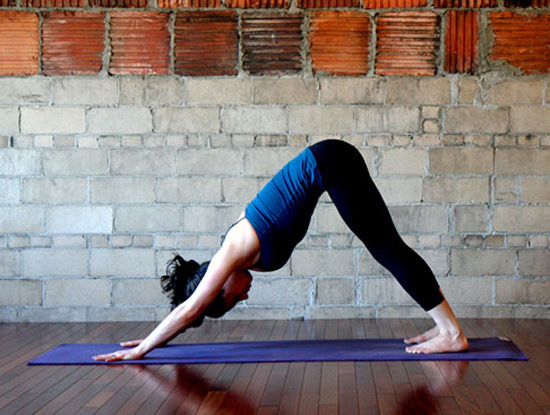 Holiday gift ideas for the runner, yogi, kettlebeller & spinner! intro one week of classes FREE! This is just a small sample, so come in and let us help you find the perfect gift to give! Get your body back faster with this 4 week series of challenging, fun classes that focus on strengthening & toning your entire core. Bring baby to class, meet other moms and get a great workout! Only reserve in ONE class when there are back-to-back classes of the same type. This applies to back-to-back Kettlebell or Spinning classes - please reserve in one only. You are welcome to do back-to-back classes, but one should be a "drop-in" (hint: reserve for the busier one and drop into the other). This does not apply to Kettlebell followed by Ironcore or Spinning followed by Yoga - in those cases you can reserve for both. Please note that if we notice someone is booked for back-to-back classes of the same type we will remove the second reservation from the class list. If you need to cancel a reservation we require sufficient time to call someone else on the wait list. If you are cancelling an evening class we need to know by 1 pmthe same day. If you are cancelling a morning class we need to know by 5 pm the day before. Please note that cancelling 1 hour before a class starts does not help us - we need more time to work the wait list. Please note that an "unlimited classes" package doesn't mean unlimited reservations, and these policies do not prevent anyone from attending as many classes as they can. We reserve the right to limit one's reservation privileges if we feel they are abusing the privilege by constantly late cancelling or no-showing for classes. We have these policies so that everyone can enjoy the classes they want and we aren't left with empty spots in our most popular classes. We have the 2015 running clinic schedule up on our online registration system now, so take a look and start planning your 2015 running goals. 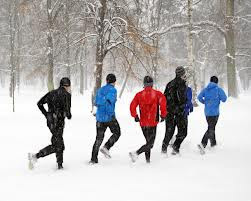 It's fun AND motivating to run with a group, and whether you are an experienced marathoner or would like to start running we have a clinic for you. 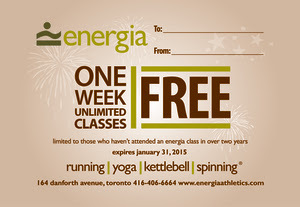 What's more, in 2015 all Energia Running Clinics (excluding Begin to Run) are FREE! (Begin to Run clinics are FREE for members & monthly pass holders). And more clinics throughout the year! Did you know that you can run FOR FREE with the Energia crew? We leave the store every Tuesday at 6:30 pm and Saturday at 8:30 am. Distances vary depending on who shows up, but we always have a leader on hand who can introduce you to others who will likely be running a similar distance and/or pace.